History comes alive in this Circa 1904 Melville Gem. The three bedroom and two bathroom home offers beautiful pressed ceilings, a wood burning fire place, Oregon pine strip floors, chandeliers, sash windows, artistic lead glass doors, Victorian baths and a wraparound patio amongst others. There is also a study/library, along with a lounge, large dining room and country style kitchen with Range master gas cooker. The home is on sale for R2.5 million. Whether you are looking to buy a home before the end of this year or whether property hunting is on your “to do list” for the New Year, there are some significant areas in Gauteng that you should consider before deciding in which area to invest. Not only is this bohemian artist enclave a testament to urban regeneration and particularly popular with professionals that appreciate the patina of wooden floors and pressed ceilings, but it is also close to the JHB CBD, University of Johannesburg, Wits, many shopping centres and hospitals to name a few. Chris Hajec, Seeff’s MD in Randburg says homes in Melville generally range from R1.4 Million to R3 Million, but even more affordable property can also be found in the directly adjacent Westdene. “Melville is rebounding from its slow decline from its halcyon days of the late eighties and early nineties back into a new and different but undeniable resurgence. Like all areas in the early throes of revival, it is enjoying a disproportionately high rate of appreciation in property values and offers many renovation opportunities”. 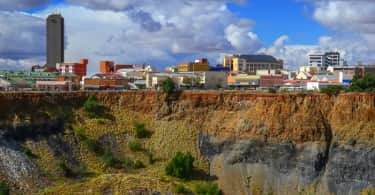 “The suburb holds a sentimental pull for many of its inhabitants and is characterised by people who could afford to live in more expensive communities, but choose to live in Melville. Many investors who have been drawn to Melville find that when they buy right it is easy to make a profit after a quality renovation or development”. 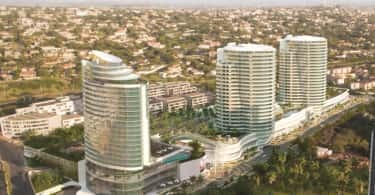 A tremendous amount of development is taking place in the areas surrounding Menlyn, inclusive of the Menlyn Main development which includes a casino. All suburbs in the proximity of Menlyn are in high demand as a result of the job opportunities created here and include Garsfontein, Menlo Park, Alphen Park, Newlands, Constantia Park and Ashlea Gardens. Gerhard van der Linde, Seeff’s MD in Pretoria East, says Menlyn Main is Africa’s first green city and this mega development includes commercial space, retail space, shopping space, a gym, residential apartments, a hotel, an entertainment complex and scenic parklands and is widely regarded as the “Sandton City” of Pretoria. “Home owners in these areas are asking more for their properties than what they are worth, but are getting away with it because it seems that potential buyers have jumped on the same train and are realising the value of investing in these areas,” concludes van der Linde. What makes this suburb truly appealing is that properties can be found here for under R1.5 million; the average price for sectional title in Paulshof has been R1.1 million for sales concluded over the last 12 months. Besides the fact that freestanding property carrying this price tag is quite scarce in Sandton, Paulshof is conveniently nestled between Sandon, Fourways and Midrand and buyers definitely don’t have to skimp on great location. Charles Vining, Seeff’s MD in Sandton, says properties priced under R2 million in Sandton and surrounds are most sought after and tend to move the quickest. “While property in the sub R2 million price range in Sandton usually fall into sectional title and are popular amongst investors or first time buyers, freestanding properties at this price can be obtained in a suburb like Paulshof. Clusters and houses in Paulshof usually sell at prices between R1.8 million and R2.6 million. 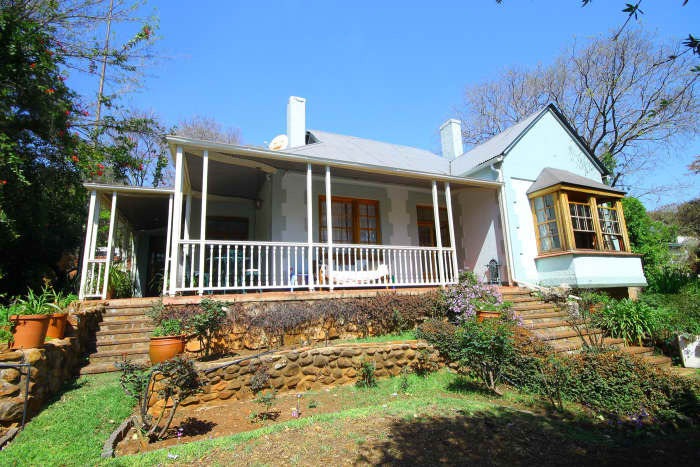 Property in Paulshof is a hot commodity and sells fast”. In this upmarket suburb where prices range from R500 000 for a bachelor pad to upwards of R30 million for palatial residences, large houses on 4000 square metre stands are selling at bargain basement prices. David Ingle, Seeff’s MD in this area says patient investors can apply for rezoning and will be able to fit up to eight cluster units on one of these sites with individual units selling at the same price as the original land purchase – making it an unrivaled investment opportunity. “While there has been a stage where sales were slow in Bedfordview, the trend is lifting and there is now renewed interest in the area. The location, excellent private schools, good facilities, great restaurants and top shopping malls add to the appeal of the area and to the extremely active rental market for which there is a shortage of stock in all segments. Above average rentals are achieved in Bedfordview in relation to the surrounding areas and there is a perception that Bedfordview is the place to live in the East Rand”. In Centurion property in estates sell the quickest hands down and have to date had excellent returns. Steve van Wyk, Seeff’s Managing Director in the area says a property of R1.1 million recently sold in the Eco Park estate only one day after listing. “Property in Eco Park Estate is affordable, centrally situated to all schools, malls and highways and is achieving excellent returns of between 9% and 10% on resales and rentals”. In addition to this the demand for estate living in Centurion has increased dramatically and buyers are happy to pay a premium price for the security aspect. People are often under the impression that prestigious suburbs are only to be found in the Northern parts of Johannesburg, but Meyersdal – also known as the ‘Mecca of the South’ – proves quite the contrary. Nicholas Falck, Real Estate Agent for Seeff Johannesburg South, says Meyersdal (bordering Glenvista, Bassonia, Oakdene and Alberton) is the most upmarket and popular area to live in the South and demand for property here is sky high. “Prices in Meyersdal for sectional title start at around R600 000, R1050 for cluster units, close to R3 million for freestanding homes and homes in estates can be priced anything from R6.5 million to R39 million – thus offering a variety of living options in different price ranges in an upmarket area”.